QUESTION: What, exactly, is the meaning of the phrase “Papal Infallibility"? The Catholic Church’s teaching on papal infallibility is one which is generally misunderstood by those outside the Church. Infallibility is not the absence of sin. Nor is it a charism that belongs only to the pope. Indeed, infallibility also belongs to the body of bishops as a whole, when, in moral unity, they solemnly teach a doctrine as true. We have this from Jesus himself, who promised the apostles and their successors the bishops, the magisterium of the Church: "He who hears you hears me" (Luke 10:16), and "Whatever you bind on earth shall be bound in heaven" (Matt. 18:18). An infallible pronouncement—whether made by the pope alone, by an ecumenical council, or by the constant teaching of the Church’s magisterium through the centuries - usually is made only when some doctrine has been called into question. Most doctrines have never been doubted by the large majority of Catholics. What infallibility does do is prevent a pope from solemnly and formally teaching as "truth" something that is, in fact, error. It does not help him know what is true, nor does it "inspire" him to teach what is true. Furthermore, the problem was Peter’s actions, not his teaching. Paul acknowledged that Peter very well knew the correct teaching (Gal. 2:15–16). The problem was that he wasn’t living up to his own teaching. Thus, in this instance, Peter was not doing any teaching; much less was he solemnly defining a matter of faith or morals. Fundamentalists must also acknowledge that Peter did have some kind of infallibility - they cannot deny that he wrote two infallible epistles of the New Testament. So, if his behavior at Antioch was not incompatible with this kind of infallibility, neither is bad behavior contrary to papal infallibility in general. Turning to history, critics of the Church cite certain "errors of the popes." Their argument is really reduced to three cases, those of Popes Liberius, Vigilius, and Honorius, the three cases to which all opponents of papal infallibility turn; because they are the only cases that do not collapse as soon as they are mentioned. There is no point in giving the details here - any good history of the Church will supply the facts - but it is enough to note that none of the cases meet the requirements outlined by the description of papal infallibility given at the first Vatican Council (cf. Pastor Aeternus 4). But he must be able to teach rightly, since instruction for the sake of salvation is the main function of the Church. For men to be saved, they must know what is to be believed. They must have a perfectly steady rock to build upon and to trust as the source of solemn Christian teaching. And that’s why papal infallibility exists. There are many possible similes for the papal office. I rather like that of the Umpire. The Umpire does not make the rules of the game, but simply receives them. The code is an integral part of the essential character of the game and already before the match the players accept them as such. The umpire’s task is to understand them, interpret them and apply them. He therefore serves the authenticity of the game, its faithfulness to its character and origins and the consent and cohesion of the players. So it is with the Bishop of Rome – the Pope. Later in the same Gospel John describes how Jesus, now raised from the dead, keeps his promise: “’As the Father has sent me, so I send you.’ When he had said this, he breathed on them and said to them, ‘Receive the Holy Spirit. 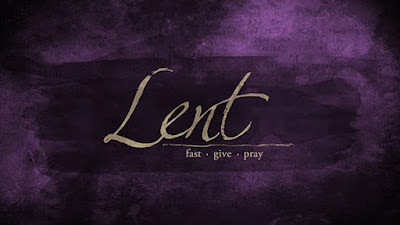 If you forgive the sins of any, they are forgiven; if you retain the sins of any, they are retained.’” (John 20.21-23) Thus the Risen Christ empowered the apostles to act in his name, as his plenipotentiaries. As we might say today, he gave them “power of attorney”. And her teaching as his own. Peter, apostle to the Jews, together with Paul, apostle to the Gentiles, ended his days as a martyr in the city of Rome, the capital of the Roman Empire. As the Church settled down to face life not only without the physical presence of Jesus himself, but also without Peter and the apostles, the responsibilities of the apostles were inherited by the bishops. Like the apostles, all bishops are equal, but some are more equal than others! The bishops of the great centres of Rome, Constantinople, Alexandria, Antioch and Jerusalem, were accorded the title of Patriarch. Equal in dignity, they nevertheless acknowledged the primacy of Rome, for the witness of the Apostles Peter and Paul lay in her foundations. It was recognised that Metropolitans, Archbishops and Patriarchs had authority to intervene in dioceses in their region when they judges the need. Thus the particular role of Peter among the apostles became the particular role of the Bishop of Rome among the bishops. The infallibility of the pope is not a doctrine that suddenly appeared in Church teaching; rather, it is a doctrine which was implicit in the early Church. It was developed over many years as the Church “led into all truth.” It was not formulated until the First Vatican Council of 1870. Put simply it means that, by the working of the Holy Spirit, the Pope is preserved from the possibility of error when he declares to the Church a teaching on faith or morals derived from divine revelation. It is significant that an “infallible” pronouncement is usually made only when some doctrine has been called into question. The Holy Spirit works in the Church to produce a consensus and the Pope reflects that when he speaks ex cathedra – formally as the “Chair”. The private theological opinions of a pope are not infallible. It is only what he solemnly articulates the teaching of the Church “from the Chair” which is considered to be free from error. The Second Vatican Council explained the doctrine of infallibility as follows: "Although the individual bishops do not enjoy the prerogative of infallibility, they can nevertheless proclaim Christ’s doctrine infallibly. This is so, even when they are dispersed around the world, provided that while maintaining the bond of unity among themselves and with Peter’s successor, and while teaching authentically on a matter of faith or morals, they concur in a single viewpoint as the one which must be held conclusively. This authority is even more clearly verified when, gathered together in an ecumenical council, they are teachers and judges of faith and morals for the universal Church. Their definitions must then be adhered to with the submission of faith" (Lumen Gentium 25). In Gift and Authority – The Infallibility of the Church 1999 the Anglican-Roman Catholic Commission agreed the following statement. [Both Anglicans and Catholics recognize] that the “pattern of complementary primatial and conciliar aspects of episcope serving the koinonia of the churches needs to be realised at the universal level” (Authority in the Church I, 23). The exigencies of church Life call for a specific exercise of episcope at the service of the whole Church. In the pattern found in the New Testament one of the twelve is chosen by Jesus Christ to strengthen the others so that they will remain faithful to their mission and in harmony with each other (see the discussion of the Petrine texts in Authority in the Church II, 2-5). Augustine of Hippo expressed well the relationship among Peter, the other apostles and the whole Church, when he said: After all, it is not just one man that received these keys, but the Church in its unity. So this is the reason for Peter’s acknowledged pre-eminence, that he stood for the Church’s universality and unity, when he was told, “To you I am entrusting,” what has in fact been entrusted to all. 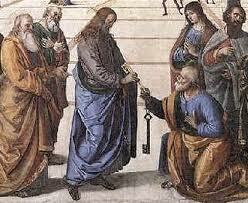 I mean to show you that it is the Church which has received the keys of the kingdom of heaven. Listen to what the Lord says in another place to all his apostles: “Receive the Holy Spirit; and straight away, whose sins you forgive, they will be forgiven them; whose sins you retain, they will be retained (Jn 20.22-23).” This refers to the keys, about which is said, “whatever you bind on earth shall be bound in heaven” (Mt 16.19). 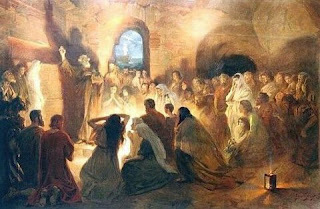 But that was said to Peter ... Peter at that time stood for the universal Church. (Sermon 295, On the Feast of the Martyrdom of the Apostles Peter and Paul). There are many possible similes for the papal office. I rather like that of the Umpire. He does not make the rules but he receives them. They are a part of the essential character of the game and already the players accept them as such. His task is to understand them, interpret them and apply them. He therefore serves the authenticity of the game, its faithfulness to that character and the consent and cohesion of the players.